Fulfillment technology is fundamental to creating an online purchase experience that delights our customers with rapid home delivery. If you're passionate in creating scalable warehouse fulfillment systems that will drive our business and elevate customer, supplier, and employee experiences, we are looking for an individual to join our Operations Product Innovation team and help lead our Warehousing & CastleGate Inventory Management team. CastleGate Fulfillment was created to dramatically improve consumers’ shopping experience and develop a unique competitive advantage for Wayfair. We do this by offering one and two-day delivery times, lower prices, and higher delivery quality of home products than has historically been possible. The backbone of this program’s success is directly tied to offering best-in-class inventory management, inventory transparency, and ERP integrations. This differentiates CastleGate from other third-party logistics companies and helps our CastleGate customers make great business decisions. 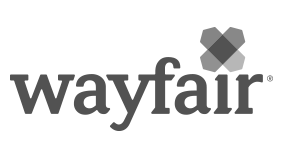 CastleGate provides a distinct competitive advantage for Wayfair and will be the main driver for our future growth and success.